The Spidi Traveller 2 suit is a general-purpose, two-piece riding outfit that you can commute in or tour in. 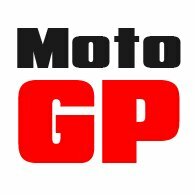 But it would equally be a good choice for those who only ride at weekends, but who want all the necessary protection from the elements. Made by Spidi, it is self-evidently a stylish bit of kit, but the standout feature is its price. The jacket comes in at £260; the trousers at £230, which means that for less than £500 you can get a good-looking suit that you can wear anytime, anywhere. And at that price, it really does represent pretty outstanding value. Halvarssons’ Prime and Prince is probably a better all-round suit, but it comes in at just over £800. Halvarssons also does a combination known as the Voyage jacket and V pant. That costs £350 for both the top and bottom, but it’s not in the same league, it has to be said, as Spidi’s Traveller 2 suit. The outer fabric for both the jacket and pants is a high tenacity polyester that delivers good levels of abrasion resistance. The jacket has a relatively short cut that is sporty and sleek, but if you’re concerned about it being too short, the jacket zips into the trousers, meaning that there will never be a gap. As you would expect, the jacket and pant come equipped with CE approved amour. As standard, you get armour in the elbows, shoulders, knees and hips. There is provision for a back protector, and you can chose whether you want Level 1 or Level 2. All the armour is adjustable for fit. 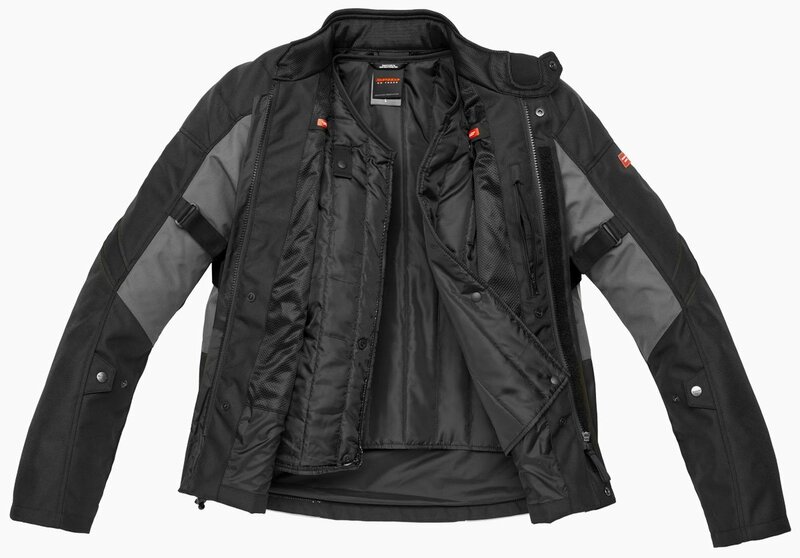 On the subject of fit, the Traveller 2 jacket is about as well endowed with adjusters as it’s possible to get. The waist can be adjusted by means of velcro straps, as can be the arms. There’s also a neat arrangement with elasticated belts that allows you to tighten the jacket in and avoid the chest. To keep you dry, the Traveller 2 jacket and pants both come with a fixed, drop-liner, H20 waterproof membrane. It’s a terrific membrane that Spidi has been using for many years, and we’ve never known it to fail; not once. Both halves have also been treated with a Durable Water Repellant; this is the first barrier against rain ingress, and it’s what causes the rain to pool and run off. For warmth, the Traveller 2 comes with a removable 100 gramme inner lining. 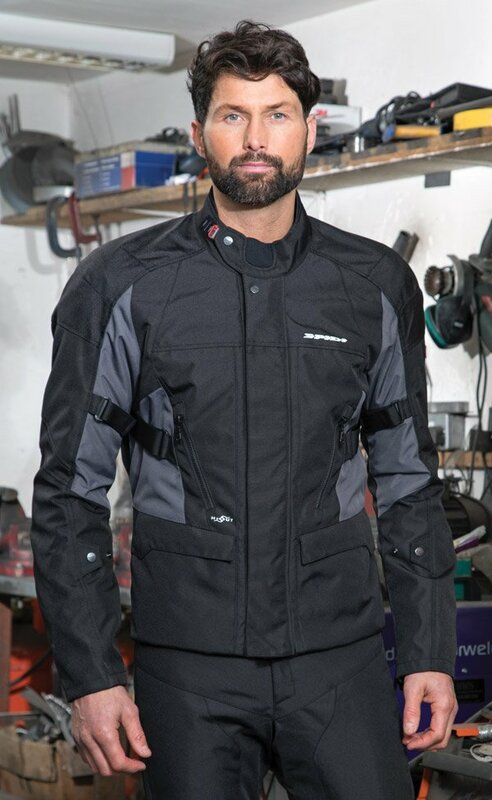 It works fine, and with the right base and mid-layer you’ll be able to ride comfortably in most conditions. 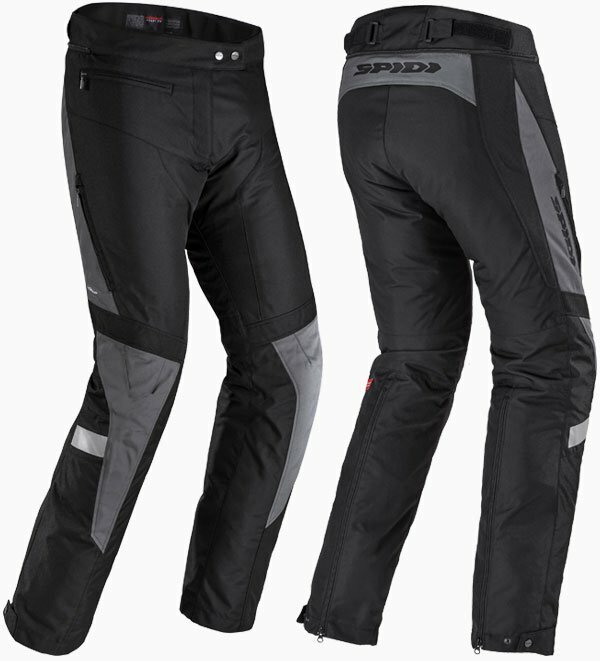 But in the extreme cold you might want to consider Spidi’s new Thermo Max inner liner that could replace the standard inner jacket. It’s a terrific down jacket that you could also wear off the bike. 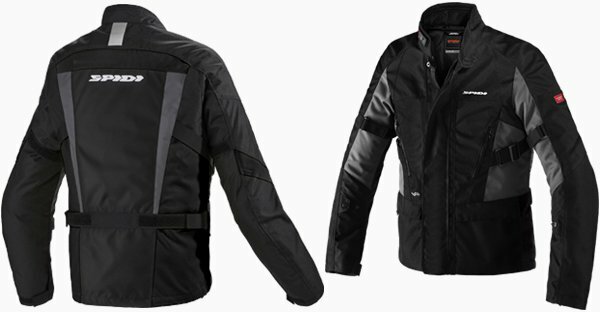 But if you’re riding, the only thing that will keep you warmer than the Thermo Max is an electric jacket. Of course, it’s not always cold and wet, so it's good to know that in warmer weather the inner thermal jacket and pants are both removable. And that when it’s really hot, you’ve got vents on the chest of the jacket and on the thighs of the pants. 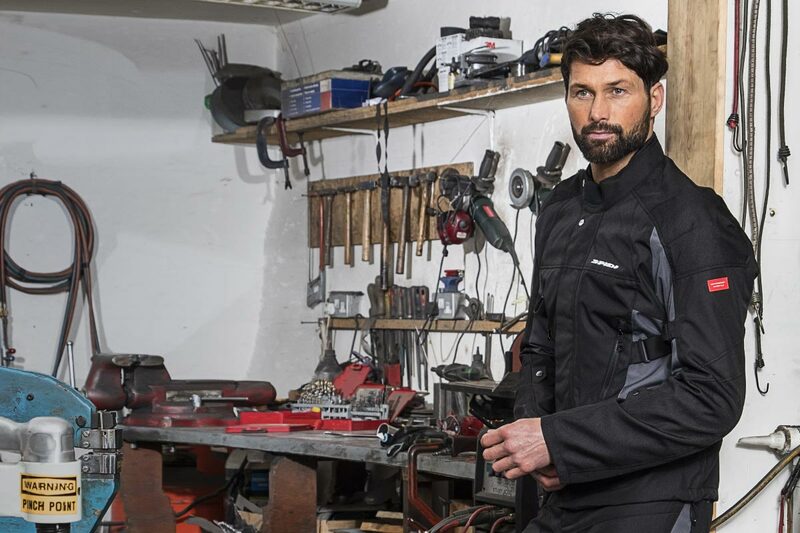 And that’s pretty much it as far as the main features are concerned, although with Spidi you always get lots of useful refinements like the adjustable fastener at the collar, zips on the sleeves and leg ends, accordion stretch on the knees, reflective panels and so on. Finally, in terms of sizing, the men’s suit goes from M to 4XL; the ladies’ goes from XS to 4XL. The jacket also comes in what is known as ‘robust’ or ‘curvy’ sizes for these with bigger bones! Frankly, at this price, we don’t think you’ll find a more useable, more flexible suit. It does everything you could ever need, and it won’t break the bank. We think it’s a helluva package.